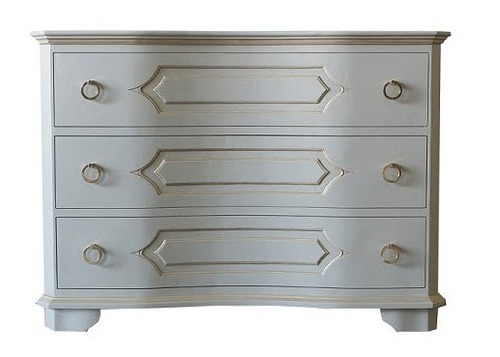 The Scoop Chest is another example of understated elegance. The Simple design makes an interesting statement piece where ever one might place. Custom made for you from 100% wood, typically mahogany. Features dove-tailed, self-closing full extension under mount drawer glides. Measures 50"W x 36"H x 20"D and shown here in French Gray with Gold Accents.